Personal Information: Ralph Leslie Broadbent was the 4th child of Henry Field and Mary Hill Broadbent and was born in 1895 at Wandearah, South Australia. He attended Victor Harbor School and was afarmer when he enlisted. 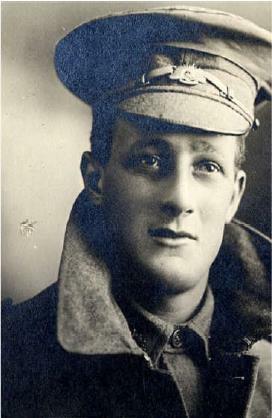 Enlistment Information: Ralph enlisted on the 16th June 1916 at the age of 20. Service Information: Ralph joined the 43rd Battalion in January 1917. After a number of months of trench warfare and "peaceful penetration" the 43rd participated in its first major battle on the 7th June 1917. This was the Battle of Messines, and Ralph would have witnessed the explosion of 19 massive mines detonated under the German Lines at the beginning of the battle. On the 31st July 1917, Ralph's company was tasked with capturing 3 German posts near Warneton, Belgium. During this assault or in the ensuing counter attacks Ralph was killed in action. His name is engraved on the wall of the Menin Gate in Ieper, as his body was not identified after the war.